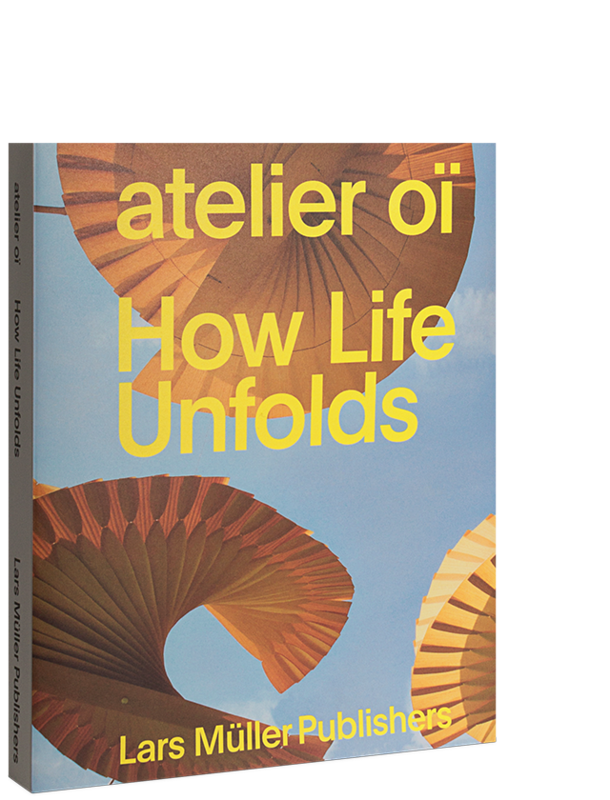 How Life Unfolds provides an insight into the approach, methods and processes of the popular design studio atelier oï based in La Neuveville, Switzerland. atelier oï pushes the boundaries of architecture, product design and scenography and experiments with various textures and dimensions. The troika – Aurel Aebi, Armand Louis and Patrick Reymond – presents surprising design solutions that are remembered by the public as icons – be it the Arteplage at Expo 2002 in Neuchâtel, a precious perfume bottle or floating paper installations. The publication features archive material as well as descriptions of current projects and photo essays. Statements of designers and partners, friends and critiques, customers and producers let the readers delve further into the world of the multi-awarded design studio. The book also offers an insight into its immense material archive, which has grown over the decades. "Das Trio lässt sich zu überraschenden Lösungen inspirieren, die dem Publikum in Erinnerung bleiben: von formschönen Foscarini-Leuchten über eindrückliche Fassadengestaltung für DYB bis hin zur schwebenden Origami-Papierinstallation."